It seems obvious to say that you want your wedding photographer to capture every intimate moment. Whether it’s the look in your husband’s eye while you walk down the aisle or the tear streaming down your mother’s face when she sees you in that white dress, these special moments will forever be preserved not only in your fond memories, but also in the photographs your wedding photographer captures on your big day. But what about before your special day? You’ve got your engagement photos, you’ve got your day-of wedding pictures, so what’s the point of taking pre-wedding bridal portraits? 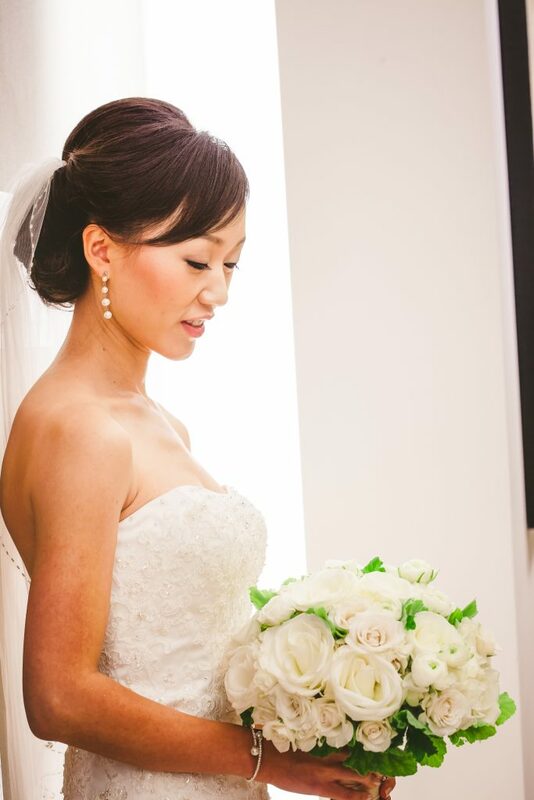 Bridal portraits are essentially a sneak peek into your wedding day. They are the perfect opportunity to see how well everything in the planning process is coming together. Most brides have scheduled appointments with professional stylists to get their hair and/or makeup done on their wedding day. Bridal photoshoots can show you which, if any, alterations still need to be done on your dress, which hairstyles you like, which hairstyles you hate, and how you would like your makeup done for the main event. Most importantly, though, bridal portraits show you how you are going to look on camera and will give you the confidence to walk down the aisle knowing you are looking your absolute best. Your wedding day will, unfortunately, be gone in the blink of an eye. Knowing that your wedding photographer has already captured hundreds of stunning portraits of you can definitely relieve some stress on your actual wedding day. You will feel much more relaxed knowing there is no rush to squeeze some specific photos in on your big day. Your photographer will be limited with locations to photograph you on your wedding day; they will want to hide you from guests to get some solo shots, which can take serious time. Rather than wasting even a minute of this incredible day that you’ve been planning for months, if you take bridal photos before your wedding, you will be able to have much more flexibility in where to have them taken, creating a diverse array of beautiful portraits. You can take more time with your wedding portraits if you take some beforehand. On your actual wedding day, your photographer will need to follow a strict schedule to make sure you make all of your appointments on time. That being said, there is a very small window of opportunity to take solo shots of you in your dress. Other than just changing location, there will be more time for you to think thoughtfully about the portraits you want taken—like if you wish to incorporate props, for example, or even take photos with your dog! These bridal pics will serve as a great filler for those pesky areas at your reception hall that you’re just not sure of how to decorate. Other than serving as simple and affordable decor, displaying these images at your reception is also a great way to honor and celebrate your future. Every photographer has his or her own style. 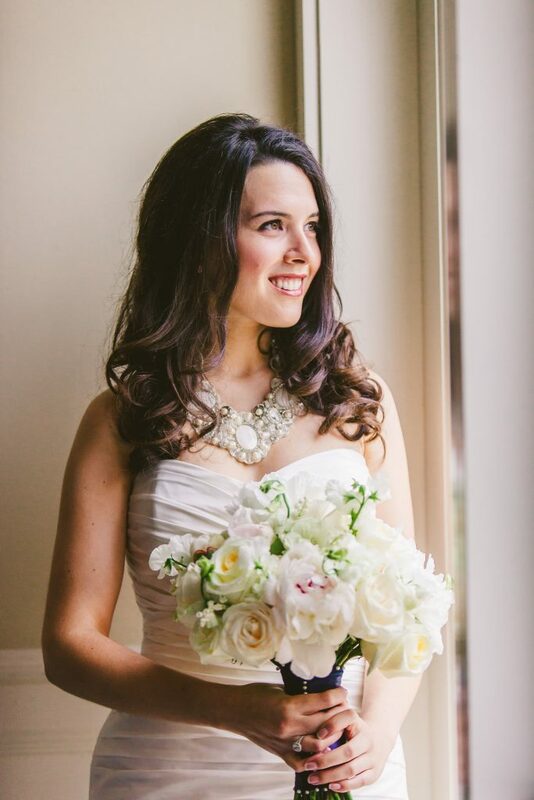 Just as bridal photos function well as a test run for your hair, dress, and makeup, taking wedding pictures before your wedding day is a great way to learn more about your photographer’s technique and to discuss what things you like and what you might not. Communicating with your photographer will also make you feel more comfortable in front of the camera, which is always a plus. You spends hours searching and struggling to try on heavy, white, lace dresses, feeling sorry for yourself until you finally find that Goldilocks “just right” one. After dropping hundreds on what is most likely the most expensive item of clothing you’ll ever purchase, it makes sense to want to wear it more than once. 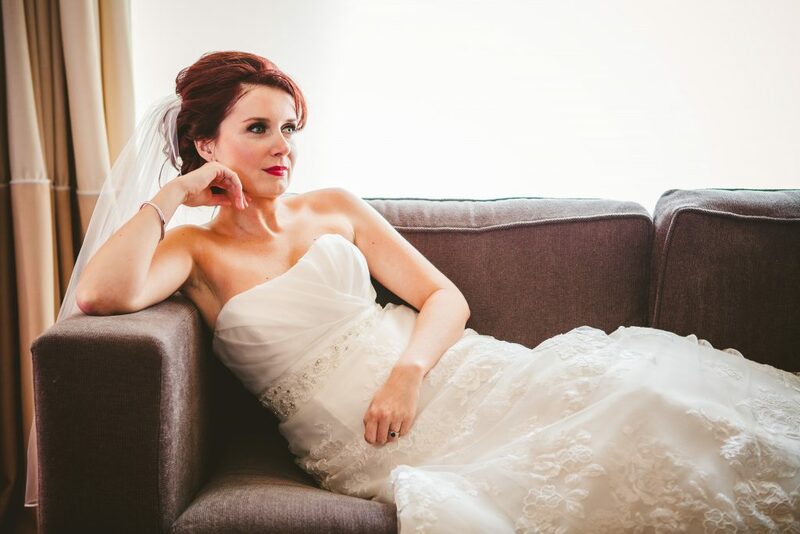 Bridal portraits are the perfect opportunity to showcase the beautiful dress you spent so much time selecting! So, before you get hitched, be sure to hire a professional wedding photographer to take funny, unique, and creative bridal portraits of you in your dress, with hair and makeup done so that you’re not overwhelmed on your special day. Interested in pre-wedding bridal shots? Contact Us! We’ll work with you to ensure you have high-quality documentation of you for your big day that you and your family will be able to enjoy for generations.